"Gradually de-risk portfolios as we move into 2016," Janus manager says. The age of easy money is beginning to unwind. In the U.S., barring any catastrophic black swan event, the Federal Reserve is expected to raise rates for the first time in more than nine years when policymakers meet in mid-December. Europe is still cutting rates, and the European Central Bank, along with the Bank of Japan, continue to purchase assets under their respective quantitative easing policies, similar to what the U.S. did for years after the financial crisis. But this week when the ECB failed to announce an expansion of its QE program and cut its deposit rate less than expected, global financial markets swooned. The Dow fell 252 points, or 1.4 percent, while the Stoxx Europe 600 lost 3.1 percent, its biggest daily drop since Aug. 24, the day of the last flash crash, and German bund yields rose. 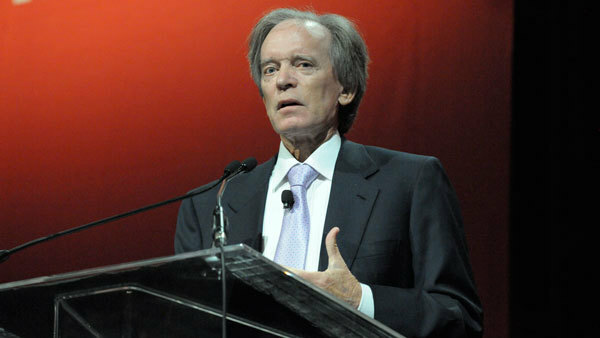 “The market … had a sense that since the amount wasn’t increased that perhaps the ECB is the last bastion of quantitative easing and monetary easing policy basically is at its limits,” Bill Gross told Bloomberg TV Friday morning. In his latest investment outlook for Janus Capital, Gross writes that “central banks are casinos,” printing money as if they’re manufacturing gambling chips that never have to be redeemed and doubling down on their bets, until their respective economies improve. He likens the central banks’ strategy to the Martingale in gambling, where a player doubles his bets every time he loses one in order to eventually win back all that was lost. “Given an endless pool of ‘chips’ the theory is nearly mathematically certain to succeed, and in today’s global monetary system, central banks are doing just that,” writes Gross. Gross argues that these very easy monetary policies can’t go on indefinitely because eventually investors will lose faith. Then the currency under that central bank’s leadership will crater and inflation will rise, bringing down the value of that country’s – or region’s – financial markets. In the meantime Gross, like many money managers, expects the Fed will raise rates at its mid-December Federal Open Market Committee meeting given Friday’s strong jobs report. November payrolls rose 211,000, wages gained 0.2 percent and the unemployment rate was unchanged at 5 percent. By early afternoon, the Dow was up 341 points, nearly 2 percent, at 17,818. A day earlier Fed Chair Janet Yellen, speaking to the Joint Economic Committee of Congress, indicated that Fed is ready to begin raising rates but the increases will be gradual.